That changes today, as YouTube has announced that applications for Android TV and Xbox One will be released within the next few days. It's not clear if the Android TV app will be a separate listing on the Play Store. It could also end up being a web app wrapper, like the new YouTube app. Apps for smart TVs from LG, Samsung, and Sony will arrive "in the coming weeks," along with an Apple TV version. 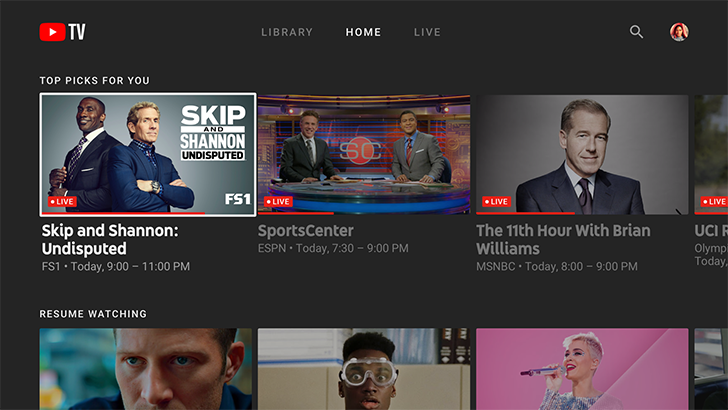 The TV app follows the same basic layout and design language as the mobile apps, with a few exceptions. The background is dark instead of white, there's a new guide for live broadcasts, and content continues playing in the background as you open menus. Even though it took a while, it's nice to see Google announce support for almost every TV platform. Roku and PS4 support is notably missing, as well as Fire TV (but that's not likely given Amazon and Google's current relationship). You can find more information at the source link below.